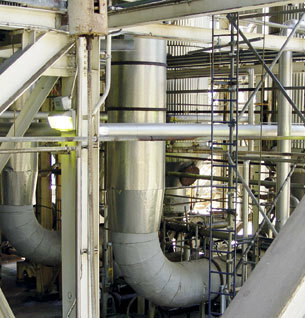 We offer qualitative High Pressure Piping to our customers. These pipes are fabricated using premium quality metal alloy, stainless steel and carbon. Also, the pipes supplied by us are completely corrosion free and therefore perfect for drinking water. Without affecting the taste and smell of the water, these provide effective performance and high utility. TRUE Fis one of the leading manufacture and supplier of high pressure pipe fittings in different grades of CS/AS/SS material under renowned Third Party inspection agencies viz IBR, LLOYDS, DNV, BV, RITES MECON, UHDE, PDIL and many more. Our product and supplies are catering to requirement of valued customers in various sectors including Refineries, Fertilizers, Petrochemicals, Power, Gas and Heavy Engineering. Our manufacturing unit is located on National Highway just 3km from Delhi in Faridabad. We have adequate infrastructure for manufacture of specified range of Pipe fittings supported with qualified and committed team in supervision level and dedicated shop floor workforce, which leaves no stone unturned in meeting the requirement of our valued customers to their entire satisfaction.